“Ministers want to halve the number of people exposed to high levels of pollution from fine particles, known as particulates, by 2025. “One of the most contentious proposals is to reduce pollution from wood burners, which, along with solid fuels, cause 38% of particulate pollution. Emissions and wood burning stoves. Recent articles in the press have suggested that research carried out at Kings College, London shows that wood burning stoves are major contributors to London’s air pollution as they emit very small particles known as PM2.5s and PM10s. These tiny airborne particles can cause damage to health as they are small enough to be breathed into the lungs. However, air pollution campaigners maintain that particles from wood fires are only responsible for a few percent of the health problems stemming from London’s air pollution – and considerably less across most of the country. In fact, diesel fumes are responsible for about half of all particulate emissions in the capital. 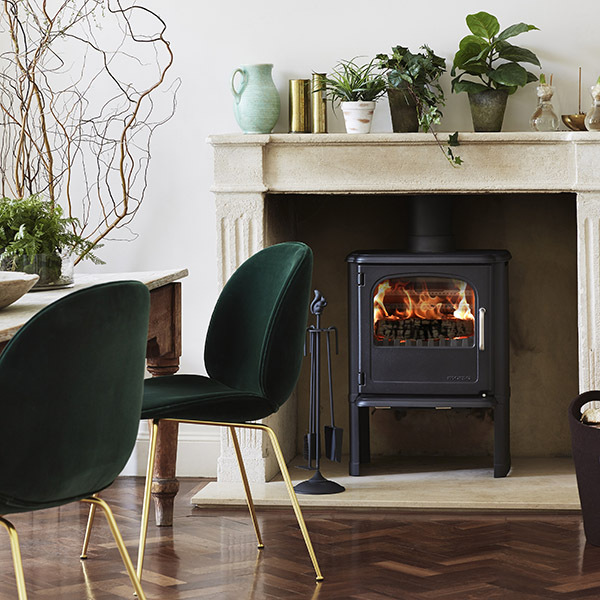 Nevertheless, it is important that smoke and particulate emissions from wood burners is kept to an absolute minimum no matter where you live. Use of poor fuels and old stoves will cause pollution and stove manufacturers recognised some years ago that minimising emissions from their appliances would be critical to their long-term sustainability. They have developed advanced designs which are both much more efficient both in terms of heat output and reduction of particulate emissions. The key is that percentage combustion (fuel burning) must be as high as possible; increasing the efficiency of wood stoves improves the combustion process and thus reduces the amount of smoke and harmful pollutants released into the air. Modern wood burners are much more efficient than the simple stoves of ten and more years ago. “They have developed advanced designs which are both much more efficient both in terms of heat output and reduction of particulate emissions”. Furthermore, last year, working in conjunction with DEFRA, the stove industry launched the “Ecodesign Ready” label which enables consumers to identify stoves that have been tested to the high emissions standards of the Ecodesign Directive due to be introduced in 2022. It is also very important to burn the correct wood fuel. We all know that burning green wood makes loads of smoke but what is less well understood is that burning inadequately seasoned logs both reduces combustion efficiency and increases particulate emissions. Stove appliance manufacturers work to a standard that assumes wood fuel with a moisture content between 12% and 20%. So remember that properly seasoned wood or an approved wood fuel will provide a cleaner more efficient burn with less smoke and emissions. And let’s not forget that wood burning is carbon neutral, simply releasing the CO2 that it has absorbed during growth. 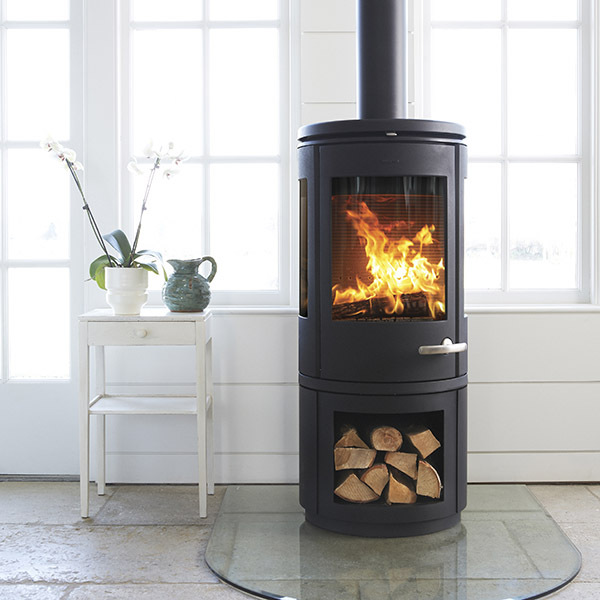 So we at Rangemoors recommend that our customers choose the environmentally sound option with a modern, technically advanced, highly efficient wood burner and always burn properly seasoned logs or other approved wood-based fuels. 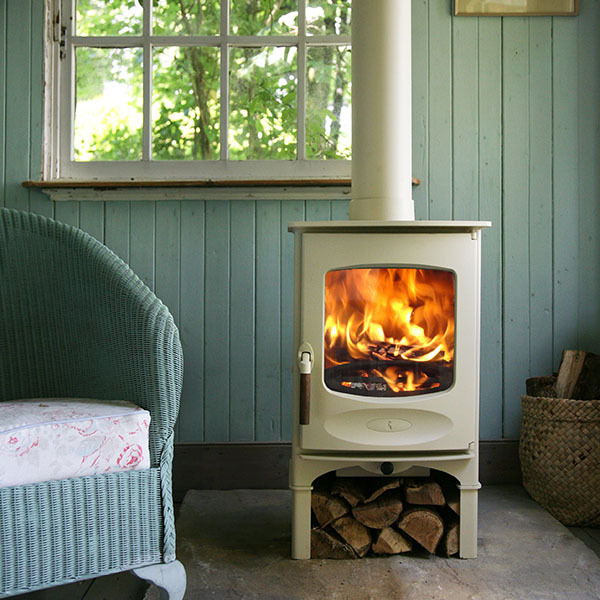 If your wood burner is many years’ old, consider upgrading your stove to a modern, more efficient model. Always burn the correct fuel. Ensure the fuel you burn is well seasoned for at least a year. 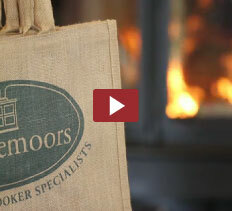 Consider using Kiln Dried Wood – available from Rangemoors. 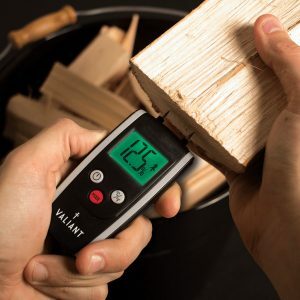 Invest in a Wood Moisture Meter so you can check your own supply of wood regularly. Available to buy here. NEVER burn waste wood from building projects, they often contain preservatives that are harmful to the health and environment when burnt.